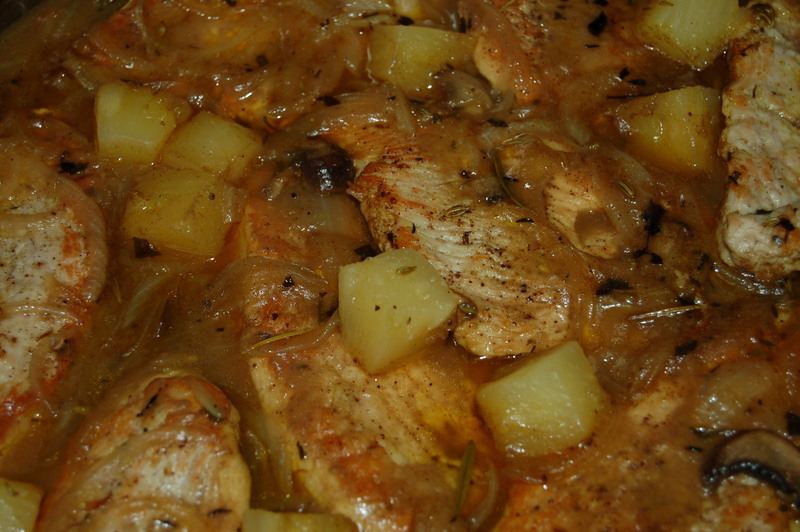 Great Turkey Curry With Pineapple (serves 6) | Crappy Kitchen - Good Dinners! ← Escape To New York and Wildly Good Bucatini al Ragu – Inspired By Pasta Bought From Eataly and Of course ITALY! Inspiration for certain dishes can spring from the oddest of places. 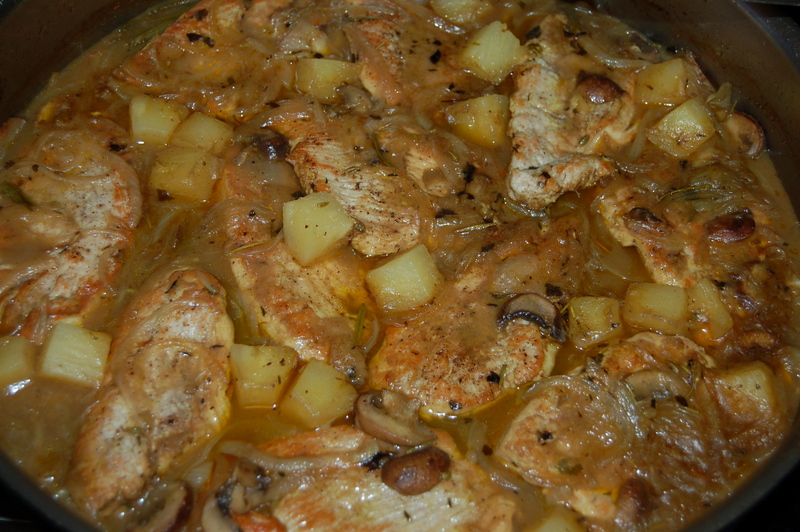 This Turkey Curry was invented because I stumbled upon a small can of pineapple chunks that got overlooked during our last big pizza night a few weeks ago. My son invited his friends over and they all made pizza, but not one of them opted for pineapple as a topping. So, while rooting around the other night for inspiration, there they were, and since I was already thinking about something spicy I thought they would act as the perfect balance of flavors! I had turkey cutlets and was not in the mood for a mashed potato, gravy and turkey dinner which is another dinner my son clammers for. I decided on curry because it was easy and I knew that the strong taste of the turkey meat would hold up well against the curry powder I wanted to use. 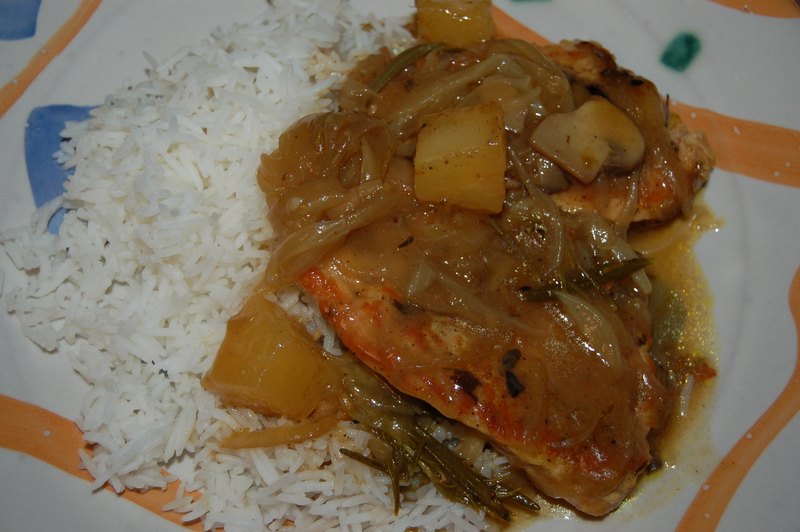 That and the pineapple, helped make this a dish I was so happy I decide to photograph and save. (Sometimes I don’t document a meal and when it is received with wild enthusiasm and my son says, “I hope you are going to blog this!’ I always regret not making the effort). This was a great weekend dinner! 1 – Slice meat and season lightly with sea-salt and pepper. Chop all veggies and crumble bouillon cube if using. 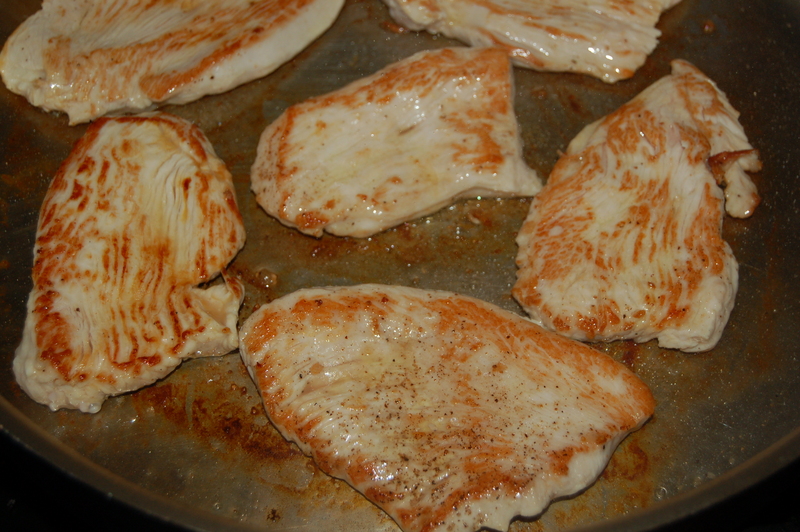 2 – Put saute or roasting pan on high heat on stove top and add 2 tbs of oil. When it is hot sear the turkey on both sides in batches (careful not to crowd the pan) until browned. Transfer to a plate as you go. You also may need to add more oil as you go. 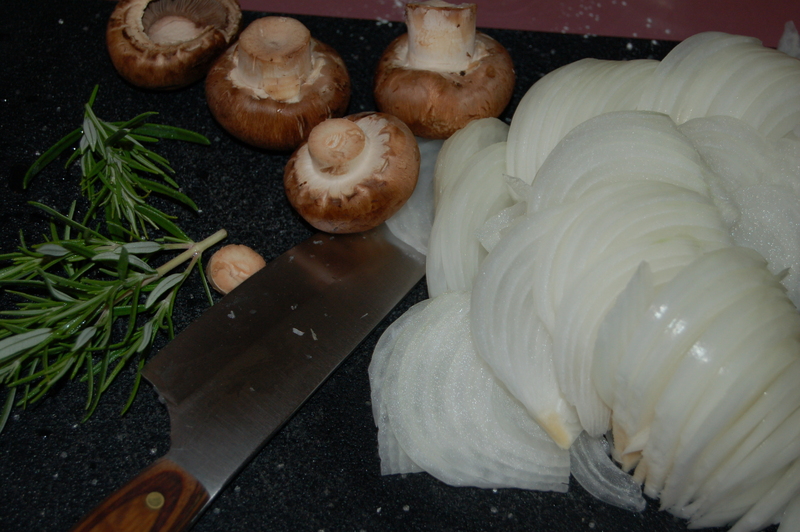 3 – Turn heat down to medium and add the onions and cook for about three minutes before adding the mushrooms and rosemary sprigs. Cook for another 5 minutes, stirring occasionally. 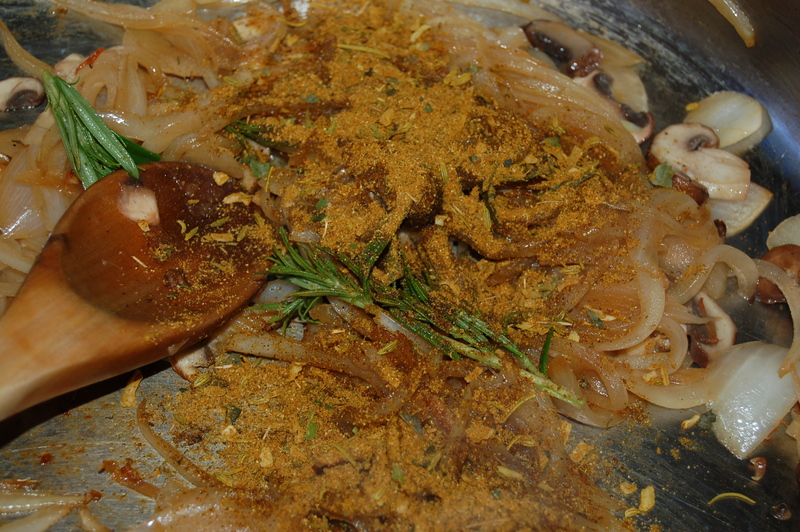 Add the curry powder and crumbled bouillon (if using) to the mixture and cook for another minute, while mixing it in. Add the flour and mix well. 4 – Add I cup of liquid and stir until the mixture is creamy and thick. Continue to add water a cup at a time, mixing in between each addition. Turn heat up and let everything come to a boil. 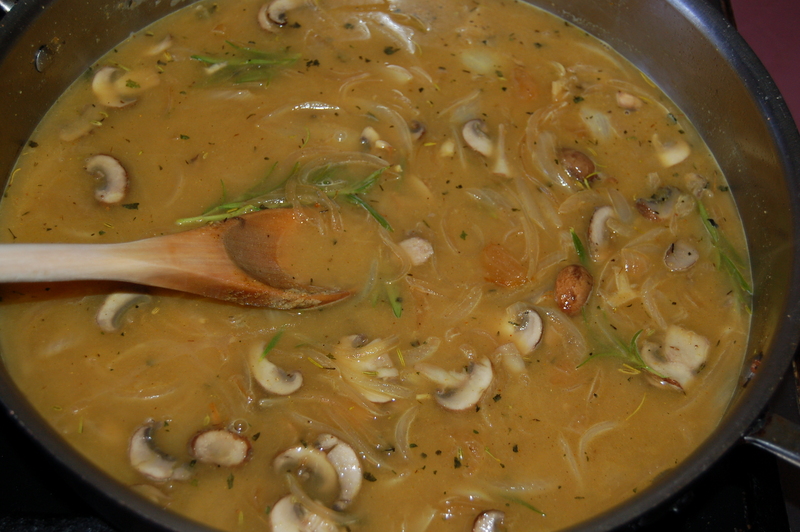 5 – Return the meat to the liquid and distribute evenly. 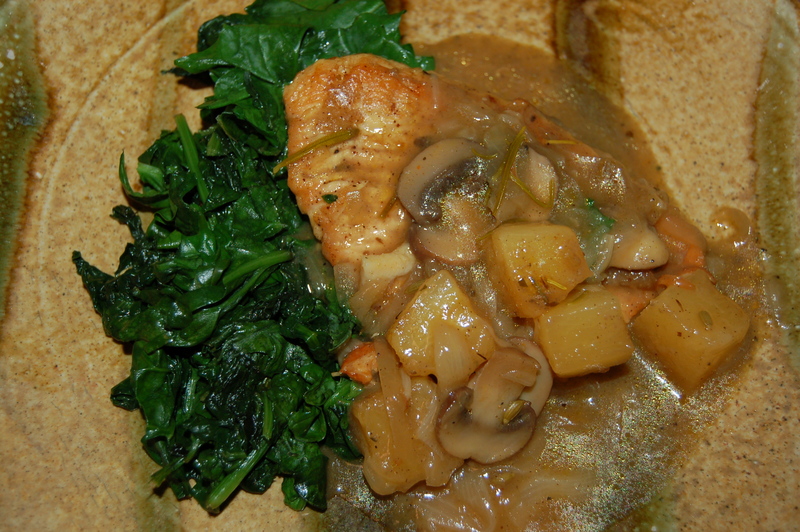 Scatter the pineapple over the top and cover pan with lid (or place foil over roasting pan). Place in oven for about 50 minutes to 1 hour. Let the curry sit for about 10 minutes before serving and taste for further seasoning. I served this curry with spinach and/or basmati rice. It was amazing! This entry was posted in "Blood Type A " Recipes, dinners and tagged blood type A, Blood Type A diet, blood type A dinner, canned pineapple, curry and rice, curry powder, easy dinner, one-pot dish, pineapple, pineapple chunks, pineapple curry, turkey, turkey curry, turkey cutlets. Bookmark the permalink.